The last Wednesday meet of the year and the weather was very kind to all 15 of us who enjoyed our walk in and around Antrim. We met at the Lough Shore Cafe where the early birds got the day off to a good start with coffees! We walked along the banks of the Sixmilewater to Antrim Castle Gardens in which we admired the Long and then the Round ponds and climbed to our highest point, the motte! We rejoined the river and its mill race and then had a short road section before walking through Rea s wood on the shores of Lough Neagh. We finished off the day with a nice bite to eat together in The Top of The Town. Festive mulled cider was enjoyed too! All in all a fine combination! A legion of Spartans (well 26 anyway) turned up for the Giant’s Ring walk. We started at Malone House and strolled along the tow path to Edenderry village and on through fields up to the Giant’s Ring. From there we headed via the glacial feature known as the ‘Sand Pit’ to the garden at Terrace Hill and then down to the Minnow Burn, back onto the tow path and onward to the Lock Keeper’s Cottage where some stopped off for lunch while others returned to Malone House. Thanks to all for turning up. The weather was overcast but it was fairly mild and it didn’t rain. ​Given that it was billed as the final day of summer as well as being the last day of operation for this year of the Mourne Rambler bus, there was a double imperative to launch the new season of Wednesday daytime walks on August 31. And happily the walk from Trassey via Hare’s Gap, Brandy Pad and the saddle between Donard and Commedagh delivered on all fronts. Although we did experience a skiff of rain close to Hare’s Gap it was a warm day and by the time we had our lunch stop and were making our descent down the Glen River valley, summer suns were glowing. The 10am bus left more or less on time from Newcastle and left us off at the end of Trassey Road. By the time we had gathered more Spartans who had parked at Trassey car park, we were 11 in number. Going up the approach lane we marvelled at the generous crop of blackberries in the hedgerow, and admired the many rowan trees (aka mountain-ash) with their lush display of bright red berries. The chat was good and the hike up to Hare’s Gap was accomplished without difficulty. The wind was on our backs and the views all around were impressive. ​ As ever, the Brandy Pad afforded memorable views up across the range of peaks in the Mournes and down across Ben Crom reservoir. Plenty to savour. After a short stop to catch our breath below The Castles we cut up to the saddle where it was agreed we would partake of second lunch. Our restaurant, beside the cairn, boasted panoramic views down to Newcastle and across to the blue waters of Dundrum Bay. Even on a Wednesday the number of walkers ascending and descending Donard, or perhaps getting no further than the saddle, was notable. No doubt the encouraging weather forecast had tempted them out. For us, it was time to head down the stone path to the treeline and on down the Glen River valley and Donard Forest into Newcastle. ​ Close to the distinctive ice house we encountered a volunteer from Mourne Heritage who was using a couple of crowbars to manoeuvre a large stone aside, so that space could be created to put down aggregate to create a more even walking surface. Good work! As predicted, we reached Donard Park around 3pm and there was plenty of time to repair to Nike’s Café for a restorative afternoon tea. From there it was a short walk along the promenade back to the cars, and arrangements were made to ferry our Trassey car park participants back to their vehicles. And for the record, Florence’s trusty pedometer had clocked up 14.89km (9.25 miles) or to put it another way, 20,691 steps – twice the recommended daily target. Well done, everyone! motorbikes in the distance that the races still progressed. We got back to the cars in the last of the light, still dry, as the cloud base began to drift down the hill once more. Joan had around 8 walkers for a pleasant walk around The Six Mile Water in Antrim. The first Wednesday Evening walk was taken in beautiful evening sunshine with clear skies and an ever brightening and almost full moon attending. Jack lead about 8 walkers through the glen at Crawfordsburn and around the environs of Helen's Bay and the North Down Coastal Path. Bluebells abounded and the woods and paths had a wonderful Spring aura of wild garlic and other plant life. soggy in places but quite passable. On our return some of us retired to the village for lunch. 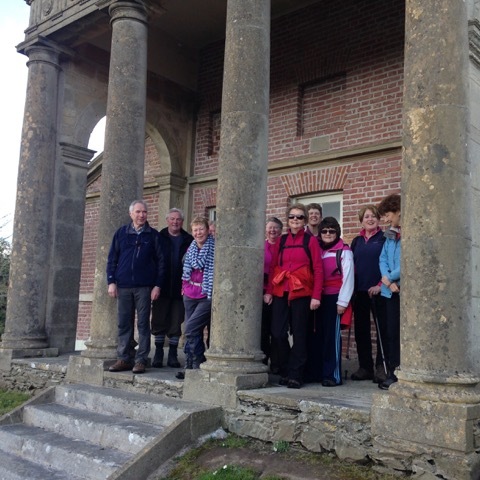 A group of 11 assembled at the main carpark in the Castleward Estate on a beautiful sunny Spring morning with excellent visibility-perfect for our walk.We started off by walking back to the gate lodge at the main entrance,and from there turning left onto the Boundary Trail. It was in good condition and dry underfoot despite quite a lot of rainfall in the previous days-this took us through the Windmill Plantation with a nice view of the front of the House appearing before entering the Deer Park. This eventually took us to the Barn/Farmyard area and we continued along the loughshore passing the Strangford Lough Yacht Club and Audley’s Quay,enjoying stunning views across the lough at this stage.A short distance beyond,just before Audley’s Wood,we encountered the increasingly familiar sight of a Game of Thrones group tour - I am not a devotee but I understand this part of the Estate has been used in many scenes (Winterfell ?). early manshed,with possibly more than a grain of truth !We continued down to the beautiful Temple Water with its plentiful birdlife,on past the walled garden and down Lime Tree Avenue,before finishing with an al fresco lunch at The Stableyard (with it being Easter week there was even a BBQ available). Total distance covered was 8.5 km-a pleasant walk with lovely views and plenty of points of interest. The only negative for non-NT members is the high cost of entry-now 8 pounds per adult (not per car),possibly a consequence of the popularity of the Game of Thrones connection. Its a point worth remembering for future Castleward walks. Fifteen Spartans assembled at Loughbrickland Lake just outside Loughbrickland on a cloudy but dry day. We strolled along the edge of the lake with its crannog and 2 swans, into the town itself and up to the entrance of the Whyte Estate. 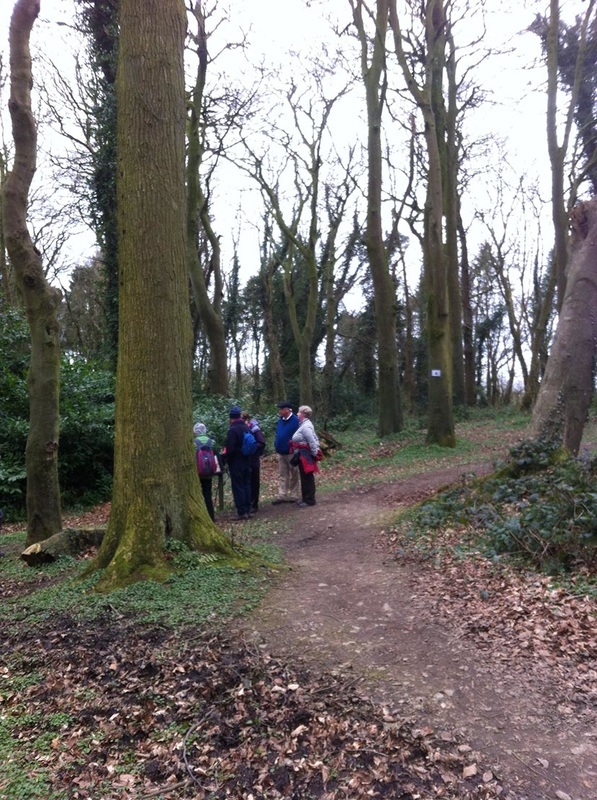 The walk then took us in a figure of eight around the boundary and woodland trails of the estate. En route we encountered the Ballyvalley Archers (fortunately they were not shooting that day). Highlights of the walk were the impressive Coolnacran Ringfort and Johnston's Fort. Lunch was had at Linenhill at the 'Outlet' on the outskirts of Banbridge. Texts were coming in to the BBC weather studio of widespread snow in this part of Co Armagh. But this did not put off the hardy Red Soxs 22 of whom converged on the forest park car park by a variety of routes. Remarkably in view of the conditions this was a record turnout. Many of us did not know the area and were keen to find out more. We were all grateful to Florence who had downloaded a sheath of information and tell us about useful land marks such as Dean Swifts Well, The Gate House and Castle and gave us the detail. David directed us to Alexanders cafe in Markethill where an excellent lunch was enjoyed by all. ​ Thanks to David for pioneering this most interesting walk .I am sure we will be back some time. Wednesday walkers scored a hat-trick on February 3 when for the third outing in a row the weather was bright, dry, and occasionally sunny. 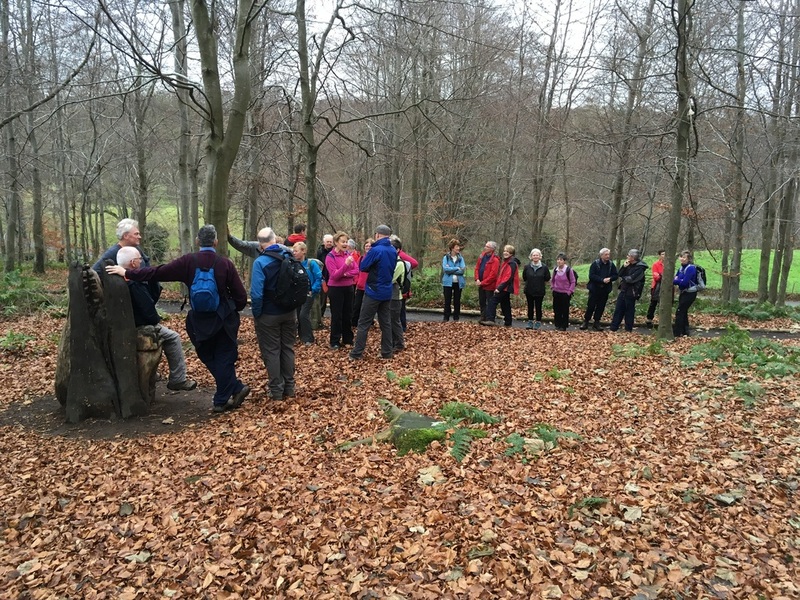 Our destination was Tollymore Forest Park and we had a magnificent turn-out of 21 members in attendance. We mustered at the lower car park where the daily charge is a modest £5 per car. Or why not buy a season ticket for £25, it will last you a year and covers all the Forestry Parks in Northern Ireland. A rather brisk breeze was blowing across the exposed car park and we were glad to get on the move. Our leader Peter White set a steady pace and took us upsteam on the path alongside the picturesque Shimna River. On the opposite bank we spotted among the dense woodland some caped figures. 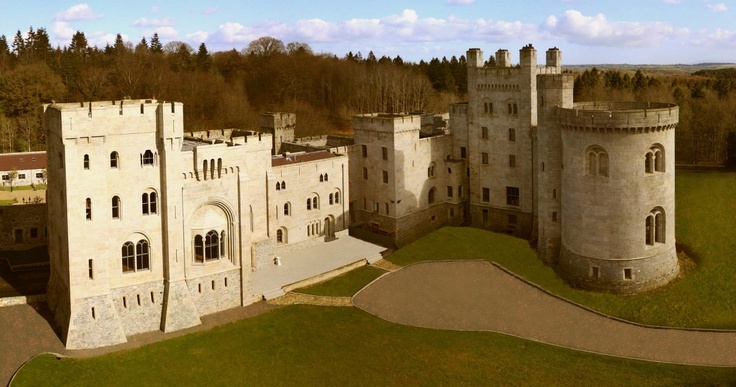 They turned out to be extras from Game of Thrones - the latest instalment was being filmed at Tollymore. Sadly our star potential went un-noticed. Interesting fact from the Discover Northern Ireland website with which to impress your friends: Oak wood from Tollymore was the preferred material for the interiors of the White Star liners including the 'Titanic' which was built in Belfast. 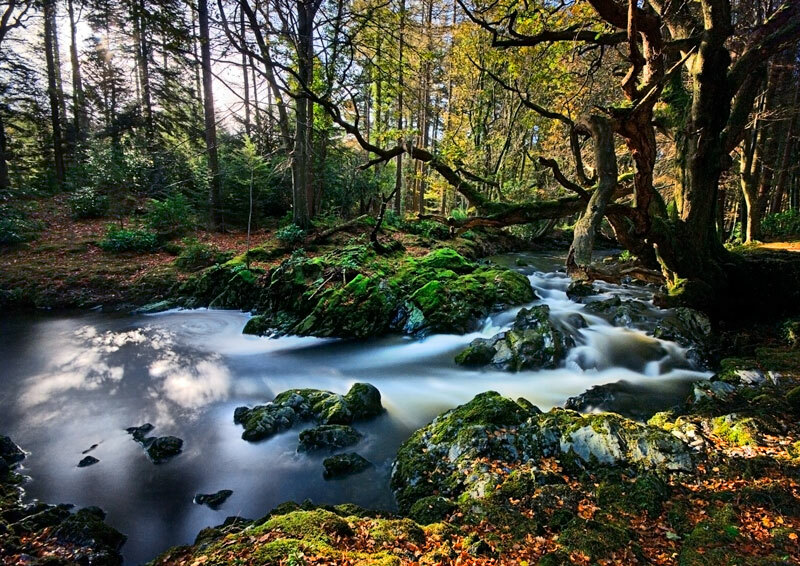 of a loop which we had started on last year's Tollymore outing. A few pauses were called to take in the view aka - getting your breath back and as ever, the chat among the group was excellent. And we savoured the views over to Slievenabrock and the Mournes as we skirted the Tollymore boundary wall. make for the Burrendale Hotel for lunch. There we were able to relax over the food and enjoy more good chat and craic. It was only at that stage that our leader Peter quietly confessed that it was his birthday, so many congratulations were showered on him. We all toasted Peter but spared him a chorus of Happy Birthday. That might have put him off his celebratory glass of Guinness! Thanks Peter for such a good walk and for putting us through our paces. No more fitting way to mark your birthday! David Wiggins managed to choose the best day of the week for his walk at Cavehill on January 20, and 18 walkers participated. It was a beautifully bright and sunny day, hardly any breeze, and relatively mild. We did the usual anti-clockwise walk and as David had predicted, our walk time was precisely two hours. Nice views over Belfast Lough and the city itself. A bit muddy in parts but we all managed the ascent and descent without incident. Afterwards most of the party decamped to the Cellar Restaurant at Belfast Castle where lunch was partaken of. Plenty of good chat around the table and the world was successfully put to rights. Thanks to David for leading. A new record was set on January 6 in terms of a turn-out for a Wednesday morning walk. Although some came and went at different stages of the walk along the North Down Coastal Path, we had a grand total of 20. We gathered at Holywood Railway Station for a brisk six-mile walk along the coast to Crawfordsburn Country Park, pausing several times to admire the splendour of this marvellous route. Behind us a low mist was lifting from the Belfast hills, and we counted ourselves fortunate to have such a dry, warm and calm day. Quite amazing for early January but then this has been one of the mildest winters - and wettest - on record. Given that Tuesday had been a day of heavy rain, and that more was on the way on Wednesday night, we were delighted that we had timed the walk for a window of decent - and occasionally sunny - weather. Along the way there was so much to take in. Gordon Davis helpfully identified the birds at the shoreline and in the shallows and we were charmed to see a flock of turnstones along with the obligatory oystercatchers. Further out, we saw a couple of eider ducks further out and a cormorant drying its wings on a rocky outcrop. And several over-wintering Brent Geese, such majestic birds. But the pick of the bunch was a curlew making its way along the shoreline, a privilege to see a member of what is now an endangered species. After the recent rain the path was rutted and muddy in places but we made good progress. The objective had been to traverse the new footbridge at Rockport and we were most impressed. The bridge makes the path navigable at all tides. Clearly this is North Down's answer to the Gobbins! At Grey Point we paused to examine what we thought might the old Harland & Wolff mile marker, used to time new ships when they were undergoing sea trials. But after checking with Google, I realise we got the wrong obelisk. Here is a link to the mile marker - I suspect the post that we saw may have had more to do with MoD wartime defences. Next time, next time. Then it was on along Helen's Bay beach, where the water was glistening in a hazy low sun. The location, of course, of the annual Christmas Eve one-minute charity dip in which I participated this year. A bracing experience I have to say - but all in a good cause. And so we repaired to the Woodlands Cafe in Crawfordsburn where they had failed to receive my advisory email to expect a party. Dan, is 07515-985400. So if anyone is taking a party there send him a text - and they will stock up on the grub. Although there was a bit of a wait, we all got fed and watered. By prior arrangement, Ian and Linda McDougall rendezvoused with us at the cafe, so it was a good opportunity to catch up. Too soon it was time to go - so it was back down to the coastal path, heading towards Helen's Bay but soon turning up a steepish path to the left which skirted the golf course and led us back to Helen's Bay village where we located the station and travelled back on the 14.36 train to Holywood and beyond. Thanks to all who participated - we got the New Year off to a super start!